Our annual Te Puawai concert and hangi will be held on the evening of Monday 15th December at 5.30pm. This is a fabulous opportunity for our tamariki to share their learning with you through performance. At the close of the performance there is the famous annual hangi. If you would like to participate in the hangi there is a YELLOW notice coming home today. The money and form need to be in the school office before Friday 5th December. Please return your filled trays to the school hall by 9am, the morning of Monday 15th December. They will be kept cold until they are placed into the hangi. On he evening you will be able to collect your family's trays from the tables. If you weren't able to make it to the performance, here are some photos. These kids have been working with Rawiri Adams. They are sharing all they have learned. Thanks for the video Mr Carter. Your flash NEXUS phone takes great videos! 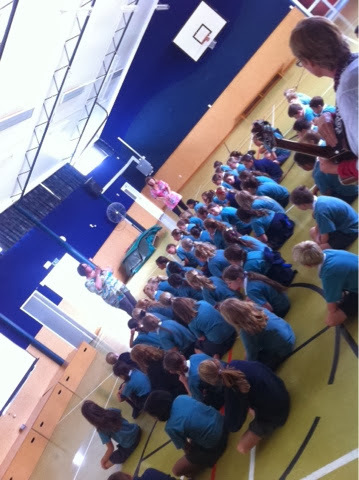 congratulations to the YEAR 4, 5 & 6 Te Puawai students that performed in front of Parkvale last Friday. You were wonderful! ALSO, teachers could you please check the register. Mrs Mercer would like to confirm who is in Te Puawai so that she can purchase the new costumes. TE PUAWAI REGISTER. On Friday morning (9.00 AM ??? 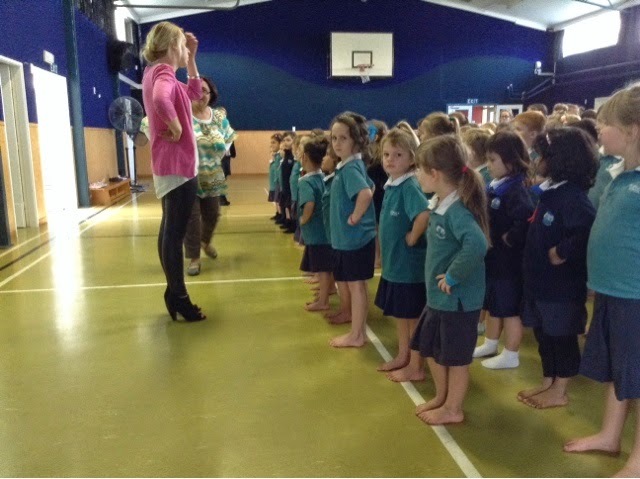 12.09.2014) we will POWHIRI to welcome guests to our school. All Year 4, 5 & 6 Te Puawai students will attend. We'll perform to from the SIDE of the hall to them. Just like we did for ERO. Next term some of you will be learning from an AMAZING master of Kapahaka. Rawiri is an award winning Kapahaka leader. 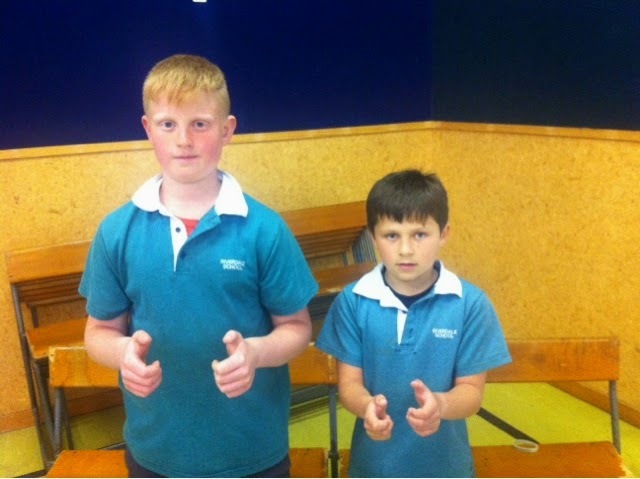 Rawiri and Mr Carter (LC15) will be running this group. You have been chosen from our whole TE PUAWAI GROUP. It is a HUGE privilege to a part of this EXPLORERS GROUP. You could be kicked out if you don't live up to expectation. Waiho ra e te pukamata! OUR RUDE COVER- WAIHO RA TE PUKAMATA! 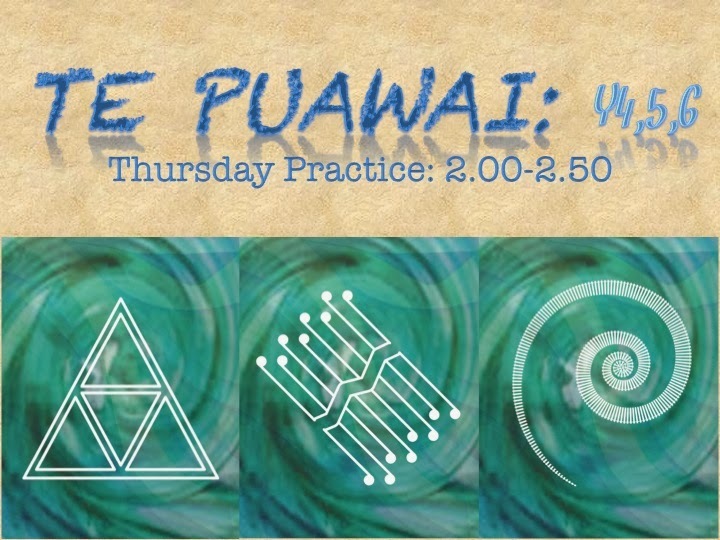 Today you shined through very well during our POWHIRI practice at 12.30pm. As you heard, Mrs Peck was really proud of your performance practice. Our Massey student teachers were really impressed with your volume too. GIVE SOMEONE A HIGH FIVE! Ka mau te wehi! What an amazing performance! It was a huge crowd and we were all very proud of you. Watch this space for video of the performance.. So our first song is 'RUDE' by Magic. As you know Nathan and Jack already wrote that cover for us. Which is awesome! Make sure you say thank you when you see them!! 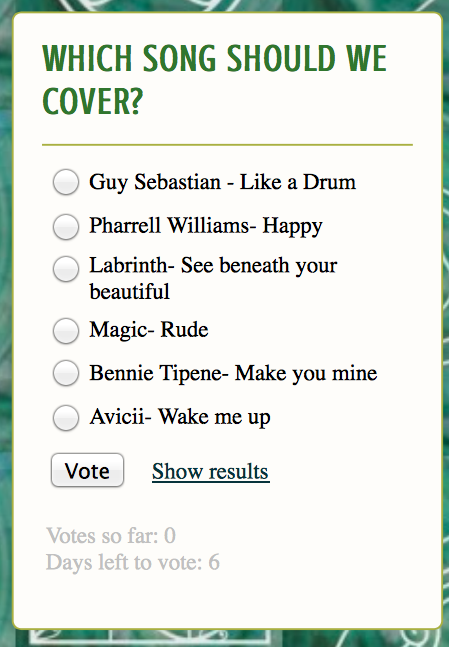 Now, the song that gets the most votes by NEXT WEDNESDAY will be our new song to cover. 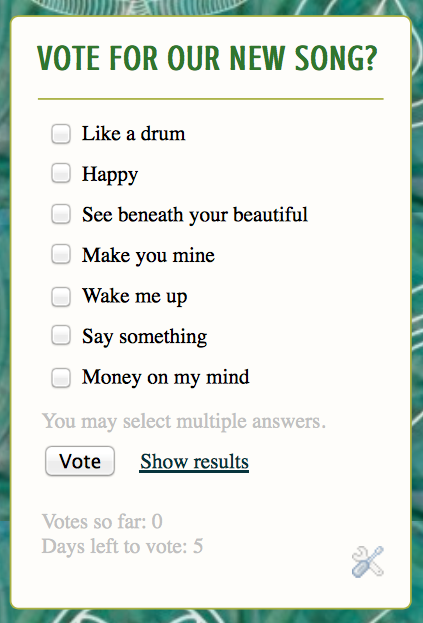 There are 2 new songs to choose from. Maia Thomas-King & Samuel Stent- 200 snidges each for adding the new songs! You are allowed to vote more than once! We are performing at the National Volleyball Tournament Opening Ceremony! Here is our video from today's practice. Watch the mistakes and FIX THEM! Go to the POLL link on the left! Here is the video of today's practice. Make sure you practise before next Thursday. Everyone should be SMILING and going HARD OUT, and this can only happen if you are CONFIDENT with your WORDS and with your ACTIONS. Our performance will be Sunday 23rd March. So COME TO OUR practices to get ready!!! NEW SONGS: Leave a comment and a link to a you tube clip. Papa Jack will translate them and turn them into our new songs. We have our first PRACTICE for the year on Thursday 6th March at 2pm. 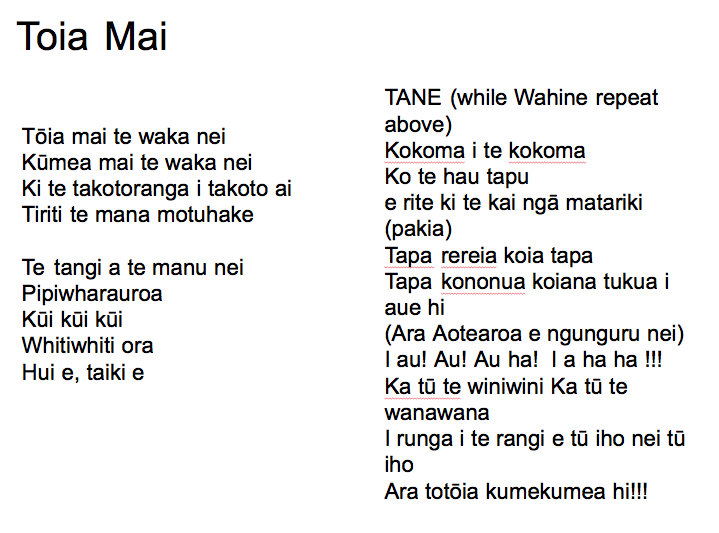 Check out this Kapahaka's MEDLEY, you know some of the songs!